If it doesn't time out so we can do your repair right after, we can also finish your dishwasher repair in Oak Lawn IL at the next available time that works with you. Best case scenario, your dishwasher will only need a minor part that we carry in universal form in our work vehicle. 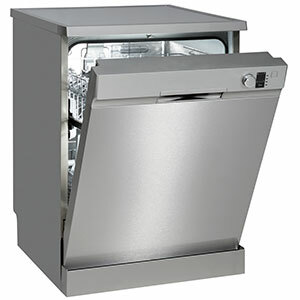 In the end, you will either pay for the diagnostics call or for your repair service, which factors the dishwasher parts cost and our labor rates. This is much better than what you can expect from most other service providers in the Oak Lawn IL region, as many will have other fees included. With that said, you are welcome to shop around and see whether you can find better rates from another appliance repair company in Oak Lawn IL. Is your dishwasher not filling up yet everything else seems normal? If so, it's likely one of these four parts: the door switch, float or float switch, or the water inlet valve. The switches are best diagnosed by using a multimeter to check for continuity. The water inlet valve can be tested through a number of steps, many of which also require a multi-meter. If the actual float is defective, there's a good chance there's just an accumulation of debris that needs cleaned out for it to work the right way.